Yesterday evening my best friend and I drove out to the place where my ashes will be scattered and my eternity will be spent. This Cherry Oval Tambour Desk, made in 2010, has become available for purchase. It is located in Tennessee and the asking price is $2000. The design for this desk was inspired by the Oval Tambour Box series and the traditional roll top desk with its pigeon holes and small draws. This desk is 40 inches wide by 28 inches deep by about 37 inches tall (48 inches tall with the pigeon hole raised). It has a tambour (roll top). This desk features a pigeon hole that lifts up with a lever mechanism and has two draws with French bottoms. For the last nine years I have limited my procurement of 4x24 belt sanders to used ones. They were usually some model of a Porter Cable sander. PC sanders are heavier sanders than the Milwaukee belt sanders I preferred back in the day. 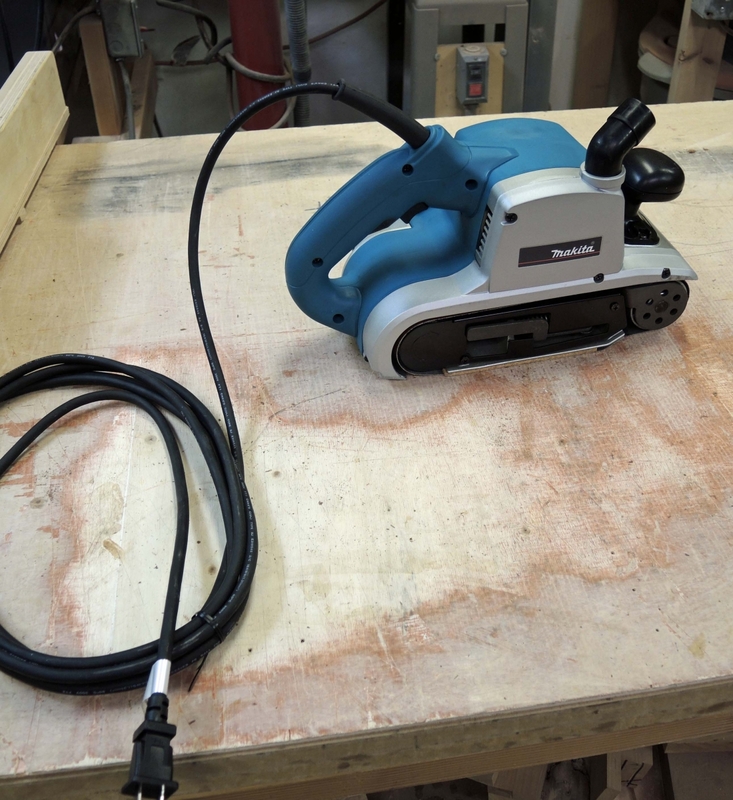 Milwaukee stopped making them and I found that used ones are all crapped up so I decided to try a Makita 4x24 sander, brand spanking new. It comes with a very long cord. One day, recently, I signed up for an account with Hafele so I could buy directly from them. Once all signed up I got a welcoming email offering me a $25 coupon withan expiration of 30 days from the date of the email. It was after all that that I discovered I would have to order $750 to meet their minimum order. Well, isn't that sweet. Two weeks later I receive this rather heavy package from an unknown entity. I finally completed the transformation of my old Delta HD shaper into a router table. I have long felt that router tables were a weak substitute for a good shaper. 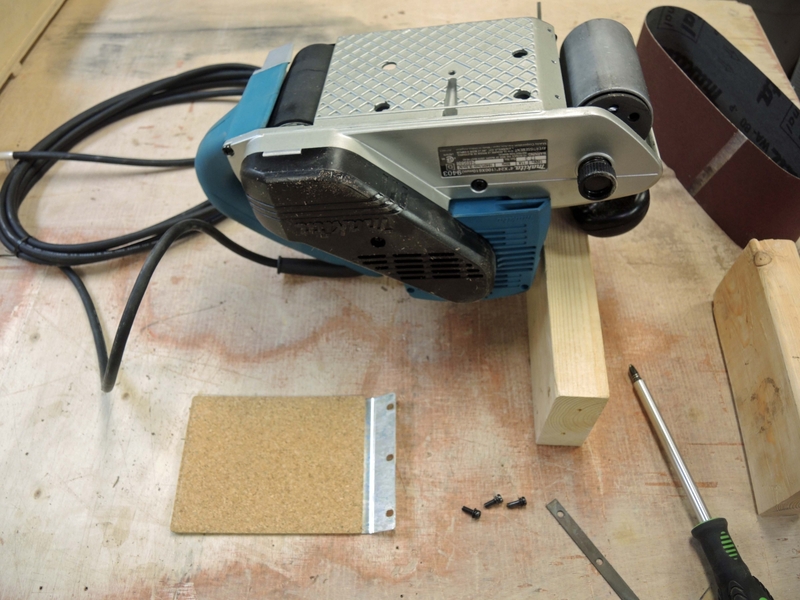 That feeling was greatly modified by the last three years of a very idle shaper and constant use of a home brew router table utilizing a plywood top covered with plastic laminate. My work, now, is well suited to a good router table. For years I used a traditional push-type dove-tail saw. Didn't even look at pull saws. Then a couple years ago I picked up one of those dowel trimming flexible blade pull saws at Menards. Shortly after I was using it to cut dovetails on my world famous thin-sided small drawers. I continued to work with that small saw until very recently when I was trying to cut dovetails to join the corners of a cabinet. The saw was getting dull and was overwelmed by the 3/4" thick stock. This video shows how I sand panels, large and small. I start with 120 grit and follow with 180 grit. The belts I use are White non-loading sanding belts to resist clogging. They cut much longer that the regular resin coated belts. From the first year of my career all the way to the second year of my encore career in furniture making I sat with my work, in a booth, exhibiting at various craft shows. From day one I kept getting all kinds of complimentary comments about my work. I was convinced that the people loved my designs and craftsmanship. But my sales told a different story.